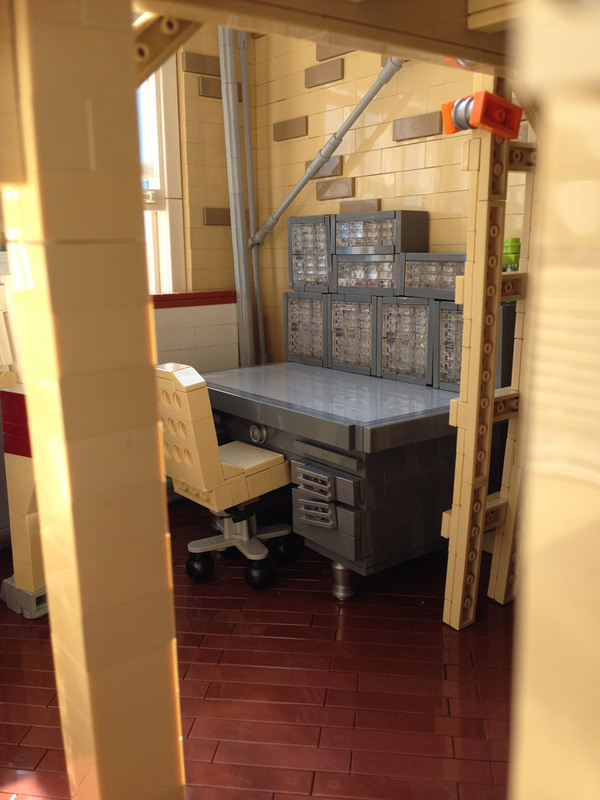 Lego builder Dave Kaleta has created an extremely realistic MOC based on his Lego studio. The project is titled “411C” and is named after the address of the studio space. This is a great workspace, featuring two huge desks, plenty of organized storage, unorganized storage, and even Lego mosaics hanging on the wall. This scene is made all the better by natural lighting and a huge window. It is the details that make 411C so lifelike. Notice the glass jars on top of the shelving. 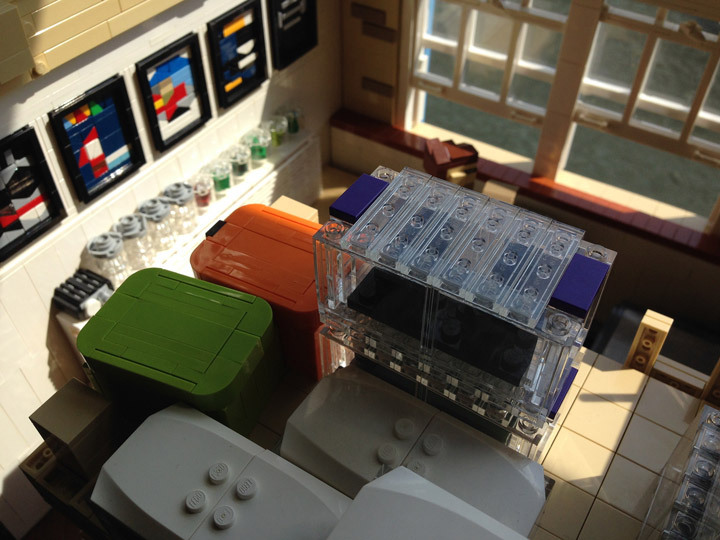 The multicolored and differently shaped storage containers in the loft space. The well made mini mosaics. The feet holding up the main desk are especially well done, as is the slightly askew handles on the drawers. The desk chair is another great build, with a great use of a Lego propeller for the casters.